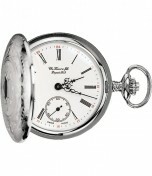 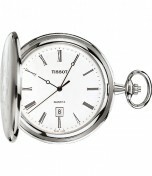 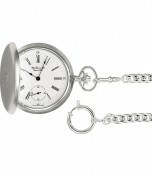 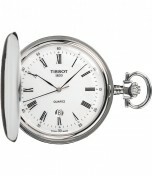 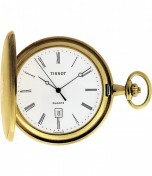 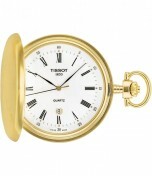 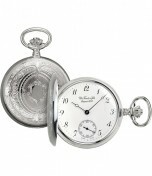 Classic Men's Pocket watch from Tissot. 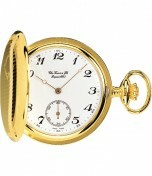 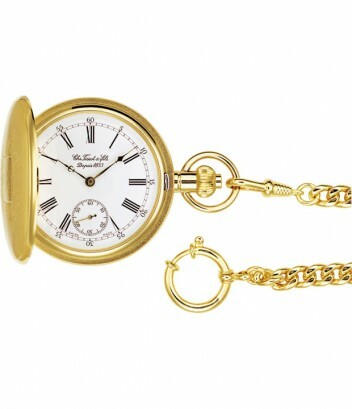 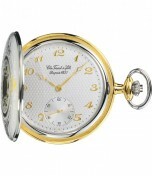 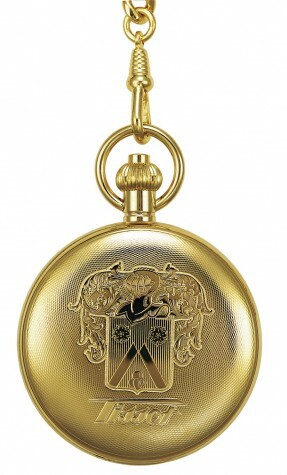 The watch comes with brass chain and is equipped with a mechanical hand-wound movement and hesalite glass. 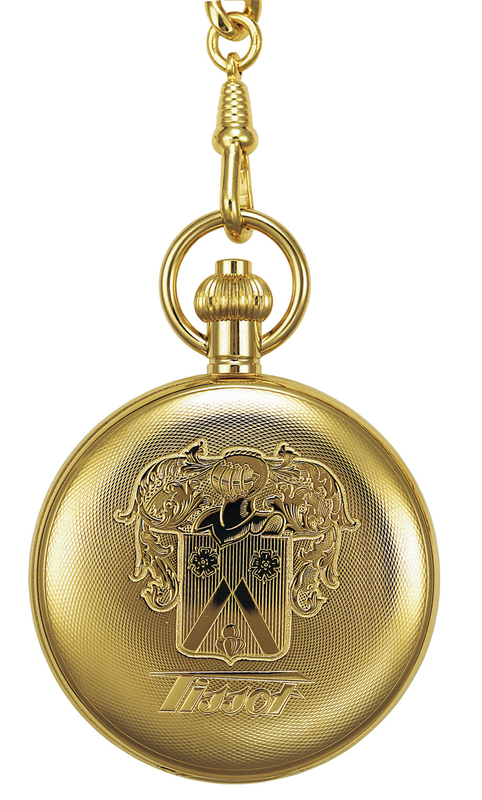 The case is decorated with a crest.